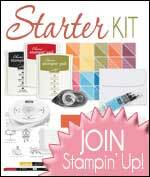 The sky's the limit with this stamp set! 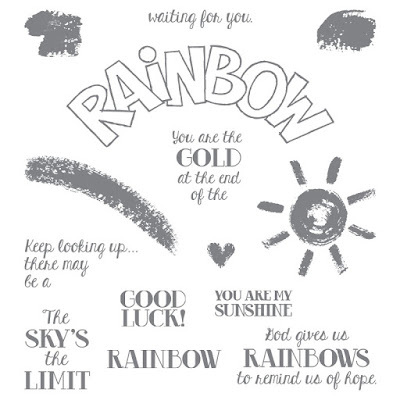 This is a Two-Step Stampin’ set, which gives you so many creative options - combine individual stamps to build the final image you want in the colours you want. 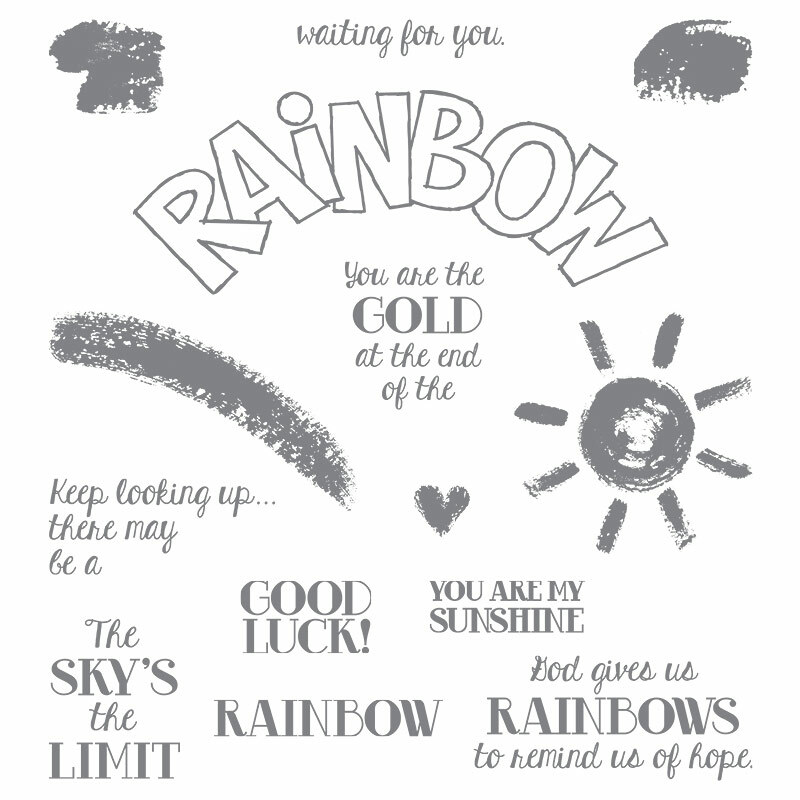 Build a rainbow or clouds with the brush stroke stamp, stamp colourful splotches over words, or make a sun peek out from behind a cloud. I have this set personally (it moved over from the last Annual Catalogue) and as it is so much fun to play with it always leaves me feeling cheery! Our photopolymer stamps are great for bending on the block, combining with others on the block and because they're clear they're easy to position on your project.